One of Victoria University's best-known graduates â€“ author Lloyd Jones â€“ is to receive an Honorary Doctorate for his contribution to literature. Mr Jones completed his BA studies at Victoria in 1976 before working as a journalist, consultant and writer. Crowning his literary achievements over a number of years, his most recent work Mister Pip was awarded the Commonwealth Writers' Prize Overall Best Book Award 2007, the Montana Medal for Fiction or Poetry, and Readers' Choice 2007, and was on the final shortlist â€“ as well as bookies' favourite â€“ for the 2007 Man Booker Prize. Vice-Chancellor, Professor Pat Walsh, says Mr Jones has taken New Zealand literature to new heights, both here and internationally and will inevitably take it further still. Mr Jones' writing career has produced an important body of work, including numerous articles, short stories and editing work. His bibliography includes Gilmour's Dairy (1985), Splinter (1988), Swimming to Australia (1991), Into the Field of Play: New Zealand Writers on the Theme of Sport (1992), Last Saturday (1994), Biografi (1993), This House has Three Walls (1997) and Choo Woo (1998). The Book of Fame, published in 2000 and currently being made into a film, won the Deutz Medal for Fiction in 2001 and the Tasmania Pacific Fiction Prize in 2003, when it was also presented as a stage play at Downstage Theatre in Wellington. These works were followed by a further series of award nominated or winning writings, including Here at the End of the World We Learn to Dance (2002), shortlisted in the 2002 Montana New Zealand Book Awards; Napoleon and the Chicken Farmer (2003), Honour Award, New Zealand Post Book Awards for Children and Young Adults; Paint Your Wife (2004), Commended Title of the 2005 Commonwealth Writersâ€™ Prize for South East Asia and South Pacific Region; and Everything You Need To Know About The World By Simon Eliot (2004), finalist in the non-fiction category of the New Zealand Post Book Awards for Children and Young Adults. 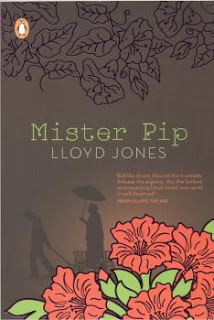 Mr Jones has contributed more widely to New Zealand literature through his establishment of the Four Winds Press, a publishing house which aims to encourage and develop creative non-fiction, to revive the essay as a literary form, and to facilitate publication by New Zealand writers who work in the non-fiction/essay field. 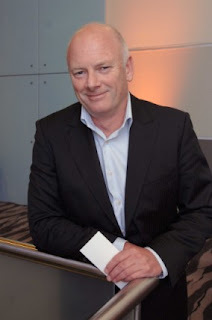 Professor Walsh says Mr Jones has an ongoing and supportive connection with Victoria University, visiting the International Institute of Modern Letters workshops as a guest writer, and taking part in the Are Angels OK? art-science collaboration. Victoria University Press had published a number of his books, including the novel Choo Woo and his breakthrough short story collection, Swimming to Australia. He was a Katherine Mansfield Fellow in 1989, and has recently taken up the Creative New Zealand Berlin Writers' Residency. His Honorary Doctorate in Literature will be conferred in 2008.